Posted on June 26, 2018 at 11:35 am. 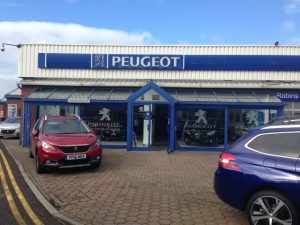 Acting on behalf of the pension fund owners of the above 2 acre motor dealership, vacated by Peugeot in December 2017, Campbell and Company are pleased to confirm the sale of the site has been completed a Sheffield based private investment group. The property was for sale with vacant possession at a price in excess of £ 1.2 million. We are delighted to have secured a future for the buildings on site and more importantly, a good price for our valued client on the sale. Local solicitors Lewis Francis Blackburn Bray acted for the pension fund in the sale process.